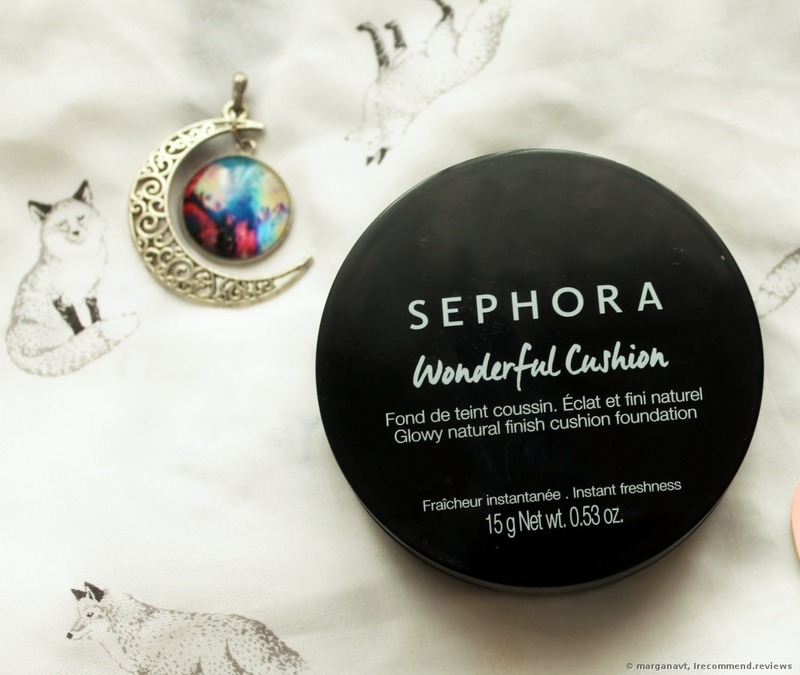 Are you really so wonderful, Cushion by Sephora? I have mine in the fairest shade. Befores and afters + shots after all day wearing. 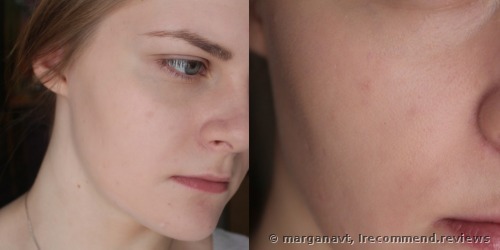 My today’s review is dedicated to a very important product in my make-up bag - foundation. I have a Wonderful Cushion by Sephora in the shade #14. I start off saying that the process of choosing a foundation product for me isn’t so easy. I have a pale complexion with pink undertones. Moreover, my skin is dehydrated, yet at the same time oily. So a lot of foundation products look like a yellow thick mask on my face, highlighting the flaking, meanwhile making my face look oily. And that happens regardless of the brand and price I paid for a product. And now, when the time to wear lightweight-textured products has come, after I watched hundreds of YouTube reviews, read lots of reviews here, I set off to look for my ideal “summer foundation”. Why have I decided to pick up exactly this product? Keep on reading and you’ll find everything out. An ultra-fluid foundation suspended in a dab-on cushion sponge that combines the fresh and radiant look of a liquid with the practicality of a compact. Achieve instantly even, smooth, fresh, and naturally radiant skin all day long with this moisturizing and long-lasting foundation. Wonderful Cushion provides buildable, light to medium coverage without any cakey effect or lines of demarcation. The compact packaging makes it ideal for touch-ups throughout the day, while the ultra-fluid formula—enriched with pure pigments, soft focus agents, and gel filler—flawlessly evens out the skin and conceals imperfections. The micro-aerated puff is specifically designed to deliver the perfect amount of foundation through a unique application technique of dabbing the foundation onto the skin for buildable and controllable coverage. Packaging: It reminds me of a bulky powder compact I think that you already know what the cushion is, but just in case, I’ll say it for those who don’t. So the compact consists of two sections: in the lower section there’s a porous sponge drenched with foundation, and in the upper section there’s a flat puff to apply foundation with and a mirror, of course. I can say that the packaging is stylish, neat and travel-friendly. 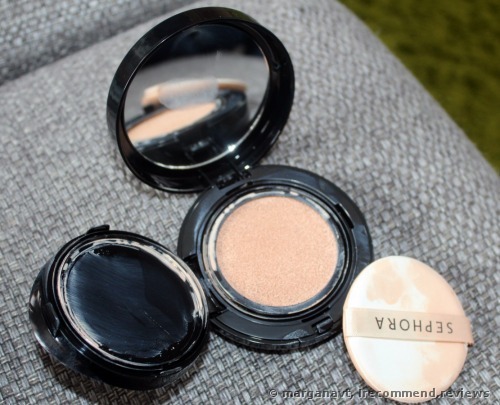 You’ll love this product if you are a fan of light coverage with a natural yet tad dewy finish. Don’t expect it to be long-lasting, but as I’ve already stated above, the cushion is travel-friendly and good for carrying with you. 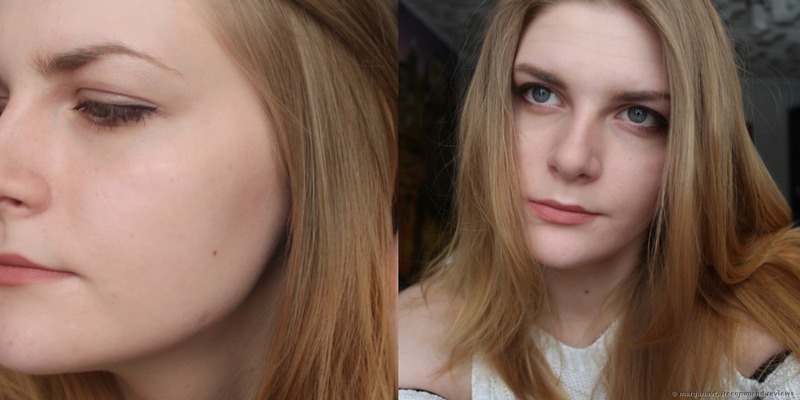 Once I applied this foundation on, I fell for it immediately! Application: it’s extremely convenient, fast and beautiful. When I apply this foundation with a puff, it looks as though I wipe all my pores away while the coverage is still thin and undetectable. 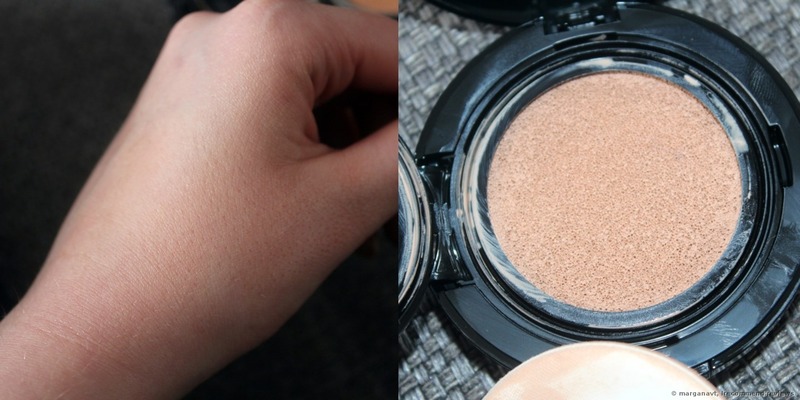 The foundation is easy to blend out and it applies evenly without streaks. As for the shade, I’m not upset about it, even though it looks a tad darker, it revives my complexion and adjusts to my skin color well. There are no edges visible, even when I’m in a hurry and apply it very quickly and don’t bother myself with a thorough blending. The foundation is very pleasant while wearing. It doesn’t give me any mask wearing effect or tightening feelings. 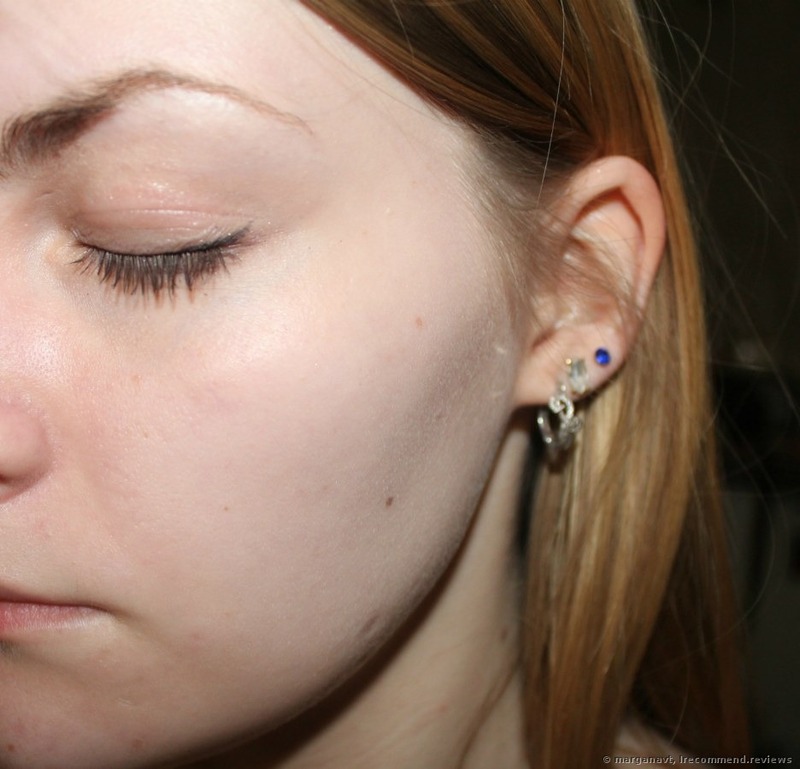 Of course I feel it on my face, as any other foundation, but it isn’t felt as heavy or anything. The coverage isn’t very good. 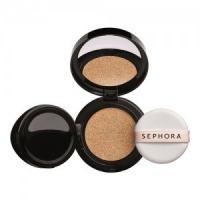 The product can even out the face color and cover only the smallest blemishes. But it can’t do anything with acne or acne scars. The finish is dewy. I don’t like this trendy “dewy finish”, so I use a setting powder to kill it. But if I don’t, then in a couple of hours my face starts looking oily. That is the only disadvantage about this product, I presume. Staying power. My skin “eats” cosmetic products rather quickly. If I don’t touch up, this foundation fades fairly quickly. If you use a powder then it stays for 5-6 hours max. The product fades evenly without any stains and oxidation. Spending: it’s super huge! Cushions are already known for being uneconomical products, but this one lasted me merely one month and a week. So, what do we get with this cushion? I know that a lot of factors depend on the skin condition, but this very cushion turned out to be a good product for spring-summer seasons for me. The only thing I'm mad about is a dewy finish, but there may be some who’ll appreciate it. And yes, I recommend you give this product a go, if you have dry skin without any significant skin blemishes. Thank you for your attention. See you in the next reviews! Hello there! Today I’d like to make a review of the Sephora Wonderful Cushion Foundation. Recently there’s been a cushion craze, so each brand is trying hard to release their own cushion housed foundation product. General information: 1. 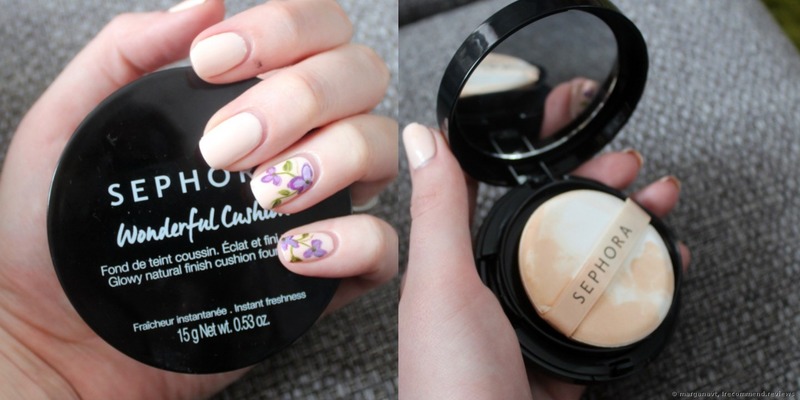 Wonderful Cushion Foundation. Price $24. Made in France. 2. I saw this product in a beauty blog. A very famous beauty make-up artist was saying a lot of good things about it. This cushion isn’t the first that I tried. I had another one which I didn’t like, but liked the idea of the packaging and application very much. 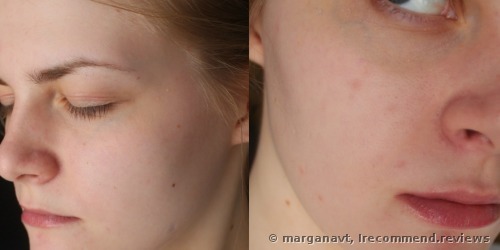 Porcelain-skinned girls, this foundation is for us! 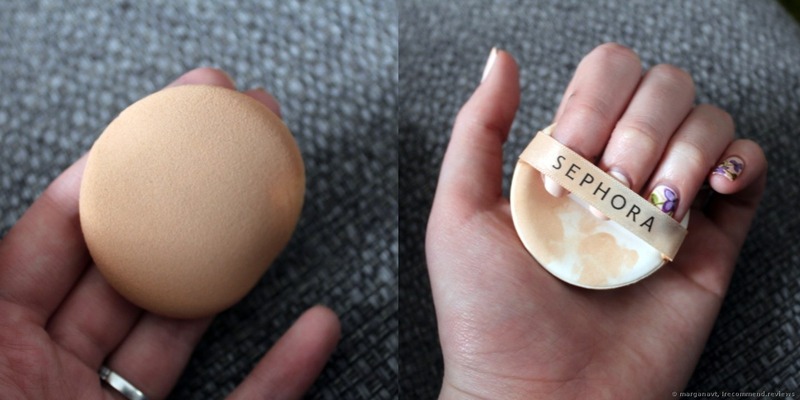 What’s more, it can also perform as a concealer.